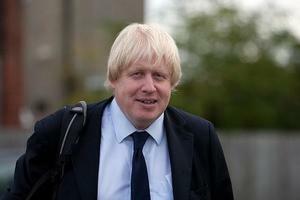 Boris Johnson has ruled out any possibility of standing for election as an MP – if he’s re-elected as London's mayor in 2012. The blond one has frequently been tipped as a potential Tory leader or even a challenger to David Cameron’s title of PM, but his appointment as mayor of London seemed to put paid to that. At least it did until Ken Livingstone emerged as a strong mayoral candidate. Boris’s pledge to put London before any parliamentary ambitions could be viewed as a demonstration of his commitment to the mayoral race but the flip side could be interpreted as an early warning in the event he loses out to Ken. Boris has often clashed with the PM over his excursions from the Tory line; as recently as this week’s party conference he appeared to support a referendum on Europe – just hours after Cameron had ruled it out. He has since said that his comments on the matter were purely hypothetical. The mayor also used his speech at the conference to advise against transport cuts for political gain.